You will learn how to connect the opening to the middlegame, develop the best plan in each position, discover various basic middlegame concepts, and better understand how a GM thinks during the game. All of this is clearly and concisely explained by Grandmaster Damian Lemos, one of the best presenters of chess videos and DVDs, and brought to you by OnlineChessLessons.net. Grandmaster Damian Lemos’ excellent presentation skills will guide you through this volume, the fifth in the collection of strategy and tactics for advanced players. 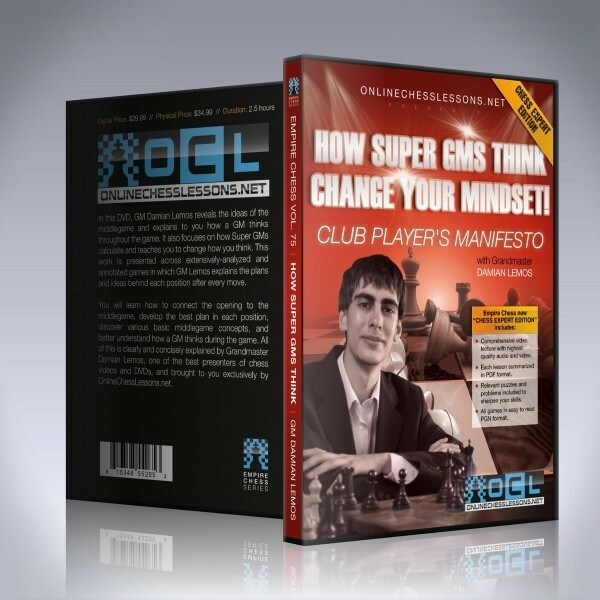 In this volume, GM Damian Lemos reveals the ideas of the middlegame and explains to you how a GM thinks throughout the game. It also focuses on how Super GMs calculate and teaches you to change how you think. This work is presented across extensively-analyzed and annotated games in which GM Lemos explains the plans and ideas behind each position after every move. 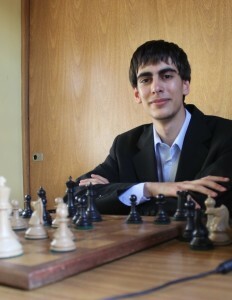 You will learn how to connect the opening to the middlegame, develop the best plan in each position, discover various basic middlegame concepts, and better understand how a GM thinks during the game. All of this is clearly and concisely explained by Grandmaster Damian Lemos, one of the best presenters of chess video content.